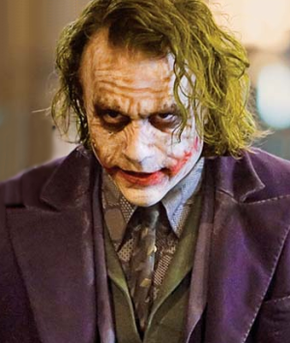 On the one year anniversary of Heath Ledger's death, the Academy of Motion Picture Arts and Sciences (Oscar) Nominations were announced and Ledger is indeed up for Best Supporting Actor for his outstanding portrayal of The Joker in The Dark Knight. The list doesn't stray too far from what we saw at the Golden Globes but there are a few surprises including giving a Best Actor nod to Richard Jenkins in The Visitor. I saw this movie on a recommendation from my dad and was very impressed with Jenkins' performance. I know he won't win, but I'm glad the Academy decided to acknowledge him. I do think that The Dark Knight and/or Wall-E should have been up for Best Picture. Since the Best Picture noms are now out, I will try to cram in some viewings of Milk, Frost/Nixon and The Reader over the next month before the show commences on February 22nd. I have already seen Slumdog Millionaire and The Curious Case of Benjamin Button (my pick for Best Picture of 2008). Each year I try to see all five Best Picture nominees and am usually successful in doing so. The list of the major six awards is posted below for those who want to get some early wagering ideas (the full list can be found here). I have put my early picks as to who will win in RED and who I WANT to win in BLUE. In other words, in the major categories, your favorites to win don't match at all to which nominees *will* win? Wow, you're really pessimistic! But that The Dark Knight and WALL-E didn't get any nominations for Best Picture goes to show you that Return of the King's Best Picture Oscar was a fluke; the Academy will really never take action or animation as serious contenders for Best Picture. Actually, with respect to Return of the King (ROTK), the reason that film won all those awards (besides the fact that it is the best movie ever made) is that it was a culmination of all three Lord of the Rings films. The Academy giving ROTK Best Picture was rewarding P. Jackson and Co. as a whole for a job well done on the three film arc. Who knows, if Nolan cranks out a third Batman that is as good or better than Dark Knight, the Academy may repeat themselves in rewarding a "fantasy" film.